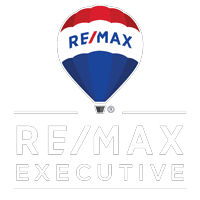 The Baxter Team has been one of the top selling teams within RE/MAX Executive for years. They are one of the top resources when looking to buy or sell in the Charlotte Metro area. 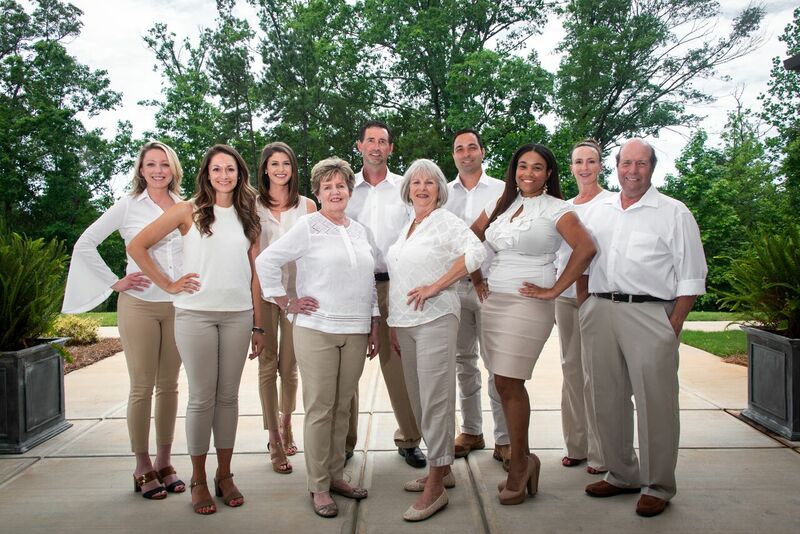 The Baxter Team takes a unique approach to real estate that stems from years of experience in the Charlotte area real estate market. Their goal is to provide an educated buying, building, or selling process for all clients. Whether you’re a first time home buyer, an active adult, a luxury home buyer, or interested in building a home from the ground up; The Baxter Team has a team of specialized REALTORS® that can assist you every step of the way. Read a little bit about each teammate below to see how The Baxter Team is really above the crowd. As team leader, Reid had the idea years ago to create a real estate team unlike any in the area. He began his real estate career more than 10 years ago with Pulte Group, as a New Homes Sales Consultant, in Sun City Carolina Lakes. While working on-site at Sun City Carolina Lakes he witnessed many clients going through the building process blindly, without buyer representation, creating unnecessary stress. Reid saw the opportunity to help buyers through the building/buying process, instead of just selling them a home. That’s when he decided to build a unique real estate team, carefully selecting team members with a wide range of skills. Reid has taken real estate to the next level by adding positions such as a Construction Specialist and Real Estate Consultants with New Home and Resale Home knowledge. Reid currently resides in Waxhaw, NC with his wife and their three children. Jerry’s background as a Construction Field Manager brings a whole new level of expertise to The Baxter Team. He oversaw the completion of more than 100 single family and multifamily homes, while working for Charlotte builders. If you decide to build a New Home, Jerry will be your primary contact. He provides assistance at walk throughs, and can advise on aftermarket home changes. Whether you are currently in the Charlotte area or not, Jerry will keep you updated on the progress of your home with detailed pictures and phone calls throughout the building process. He currently lives in Ballantyne with his wife, Jessica, and their Akita dog, Parker. They enjoy sharing good meals, whether it’s cooking at home or discovering a new local restaurant with family or friends. Samantha is a top producing REALTOR® for RE/MAX Executive and The Baxter Team. In 2000, she began her real estate career as a New Home Sales Consultant for a prominent Charlotte builder, and transitioned into general brokerage in 2004. Sam brings her expertise of New Homes and Resale Homes to every transaction, educating her clients on every step of the way. She loves using her new construction background to help buyers make a well informed decision when looking for that perfect home. Sam enjoys playing tennis, cooking, and spending time with her husband, Derek and their dog, Kona. Alexandria graduated from the University of North Carolina at Wilmington with a degree in Accounting. Since joining RE/MAX Executive in 2013 she has experienced roles as a Listing Manager, Closing Coordinator, and now spends part of her days as our Brand Development Specialist. The combination of her accounting background with her experience in the real estate industry gives her a unique perspective as a buyers’ agent. Alexandria creates a seamless transaction, from contract to close. She currently lives in South Charlotte, and enjoys going to local festivals, farmers markets, and restaurants on her days off. Hannah graduated from Appalachian State University in 2014 with a Degree in Management. She joined the Re/Max Executive Corporate team as an Accounting Specialist in 2016 and recently decided to take her skillset to the agent side. Hannah’s background in Project Management and Event Planning gives her an advantage on jumpstarting her Real Estate career. She looks forward to working hard for the team and clients. Hannah enjoys the outdoors and all types of live music in her free time, but spends most of it with her dog-daughter, Dawson! If you’re undecided whether an active adult community is right for you, Judi can tell you firsthand all of the benefits! She has been living the active adult lifestyle in Sun City Carolina Lakes with her husband, Tom, for over four years. She is passionate about working with people, and enjoys sharing her personal experiences with potential buyers. Judi moved to Fort Mill, SC from Greensboro after she retired from the North Carolina Department of Corrections. Jessica moved to Charlotte from Virginia Beach to begin working for RE/MAX Executive in 2014. Sometimes picking a home and writing a contract is the easy part of a real estate transaction, the closing process can be a little more complicated. Jessica’s attention to detail is critical during this process. Keeping track of the mortgage process, inspections, and repairs are just a few things that she does to ensure a smooth transaction. Her experience as a Realtor® allows her to know the ins and outs of the real estate business. Jessica enjoys volunteering at the Waxhaw Kitten Rescue in her spare time. Kristen graduated from UNC Chapel Hill and found her niche in marketing. Previously she has worked for a top New Home Builder as a Marketing Administrator where she learned valuable marketing tools that are industry tested and proven. As the Marketing and Listing Coordinator with RE/MAX Executive, Kristen is excited to work with clients to make their home shine while on the market. Alice and Jim Pierce have been residents of Sun City Carolina Lakes since 2010. Alice worked for Pulte for 6 years, mostly as front desk hostess in the Sun City sales office and also Carolina Orchards. Jim was with Pulte for 3 years as a Sun City ambassador, and now gives interested parties a tour of the community and amenities. They enjoy exploring North and South Carolina history and spending time with their two grandchildren.